So, let’s start. What I mean by the phrase «fake activity» is not difficult to guess: it is the manipulation and compromising of the data that are responsible for the indicator of your activity, or more simply, of actions on the Internet. With this, of course, every one of you who used social networks at least once came across: Facebook, Instagram, and so on. I will describe this scheme on the example of Instagram: each person has his own account, and for developers API access is provided. And what did we do? We started to launch bots that can perform all sorts of activity through a person«s account (such as like, subscribe, comment on other people’s posts, or even independently manage their (or owners) page, for example @neuralcat). And soon this opportunity began to be actively used in the business sphere. Attracting a new audience by targeting according to certain criteria and carrying out activity on their page. Everything would be fine, but over time it went beyond all limits. Every day dozens of incomprehensible accounts like your photos, leave spam comments, tag you on advertising posts and so on. Purely my opinion on ethics here is negative. Compromising the user’s activity wins on the user’s trust in the service, which undermines it with time. And here I have a question: is it acceptably at all? On the one hand, a person made a script that keeps up his activity indicative (well, if he wrote it himself), but on the other hand, imagine a situation where, for example, a recruiter needs to select a candidate for a certain position, skim look at the statistics will make positive impression of a candidate, especially from the professional side, but is this really the case? I do not blame people using such services or scripts, but I give reason to think about whether to give such services a way so that later it wouldn«t become a problem like with the Instagram API. 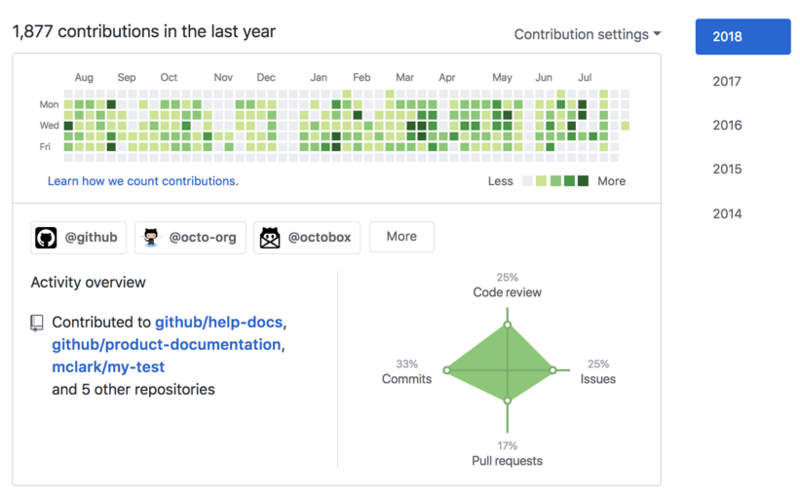 The future of any service, including GitHub, depends on users and how they will use it. Thanks for attention.